Weekend Gourmet Blog Carnival, January 9, 2012 - Hartke Is Online! 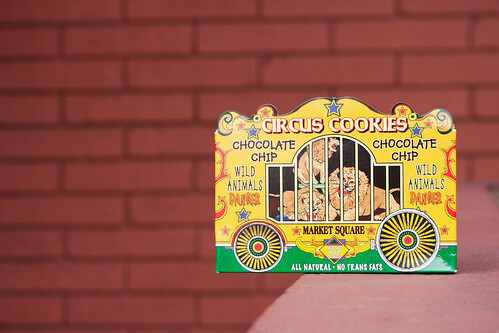 You’ll notice on the box of the animal crackers above, the label says “no trans fats”. Even the carnival seems to know that Trans Fats are bad for us! But here is a nasty little secret, just revealed in the latest issue of Wise Traditions Journal. Publisher, Sally Fallon reports that even food products labeled zero trans fats can have up to .5 grams of trans fats PER SERVING. And, serving sizes (check the label, carefully) can be really small, which means if you have several servings you are getting more of the bad stuff than you expect. The only way to avoid trans fats is to cook at home, where you KNOW exactly what is going in your food. I know it is out of style or a lost art, but that is no excuse. Especially with the internet, any one can learn to cook and therefore experience a higher standard of health. Here we are again, it is Monday and time for the Weekend Gourmet blog carnival. Other bloggers share their healthy recipes with our Hartke is Online! readers. From frugal to fancy, hopefully you will find something for everyone in this week’s offerings. Even if you don’t have a blog, we welcome you to share your recipes or cooking tips in the comments, below. With this blog carnival, we aim to make cooking your own meals fun and simple. Believe me, I am busy too, and that is also no excuse for minding your health through the art of home food preparing! And, to stock your pantry with healthy and organic ingredients, shop our Resources page for quality vendors who believe in our blog carnival and it’s real food mission! Bloggers, please link back to this page from your post! 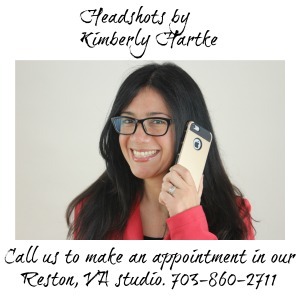 Kimberly Hartke is a realfoodmedia.com blogger. A big part of eating real food is being able to source quality ingredients. In order to buy foods at their peak of quality on a budget we do a lot of farm-direct bulk buys. But our house is tiny and our fridge is full! In the post we shared about creative food storage, Kelsy explains how we handle it! Thanks for hosting! We posted Part 2 of our raw milk Q&A session. This week I am preparing for my GAPS Challenge coming up on January 15 with several pots of beef stock. It is also my latest REAL FOOD 101 post: How to Make Beef Stock. Come join the GAPS Challenge and make insane amounts of stock! Thanks Joy, can’t wait to read your ideas on food storage. Carolyn, I facebooked your post on Raw Milk part 1 to the WAPF fans and it was a big hit. Look forward to FB and tweeting this one. We have almost 30,000 followers now on social media! Kendahl, I have insane amounts of stock stashed after the holidays! The best thing I did was make beef stock and beef stew right before Christmas. Whenever I didn’t feel like cooking, we just had a big bowl of stew. It was yummy. And, of course I made turkey stock with the carcass of our holiday bird, and have been slurping turkey vegetable soup ever since. Stock is the BEST! Some great posts to read this week! I’m particularly interested in the beef stock one since I need to make more beef stock, and the real food storage. This year, I’m cutting back on what I grow in our vegetable garden, though I’ll still be buying fresh produce and canning and preserving it for the winter. I just had a birthday celebration at my house, so I made this cake and my little guy was haaaaapy! It’s also GAPS-friendly and grain-free. Thanks for hosting. I posted my recipe for soaked granola bars I created because I wanted a portable snack, so enjoy!!! First off let me start by saying thank you for all the helpful information you give us. We appreciate all your knowledge. I am an avid believer in weston price and his beliefs. Thanks again!